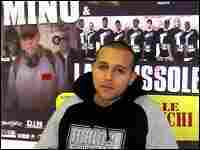 French Rap Musicians Blamed for Violence French lawmakers are calling for legal action against several rap musicians for allegedly inciting violence and racism in last month's suburban riots. Rap artists say the music reflects economic and social reality, and shouldn't be blamed for the unrest. 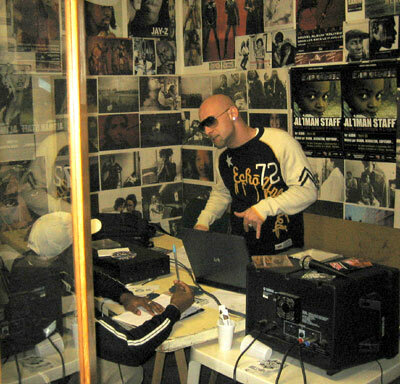 Prodige Namor has been running French rap workshops since 1998. He says rap is all about identity. Two hundred members of the French parliament are calling for legal action against several rap musicians for allegedly inciting violence and racism in last month's suburban riots. Rap artists and their mentors say the music reflects economic and social reality, and shouldn't be blamed for the unrest. For more than a decade, French rappers have been venting the anger of an alienated underclass, but rappers say politicians haven't been listening. Matteo Ferran, part owner of the record label Street Skillz, says suggesting rap is to blame for the riots is a case of shooting the messenger. "This makes me laugh," Ferran says. "Rappers have been saying the same thing for 10 years, warning about what goes on in the suburbs, where kids are miserable. There are teenagers who think about committing suicide -- they have no future." In the southern city of Marseille, the situation is much less bleak than elsewhere in France. While it has high unemployment -- especially among the young -- Marseille was spared November's wave of violence. Municipal authorities have gone so far as to encourage minority youth to explore their creativity. A city-funded urban renewal project turned a former tobacco factory into a vast center for artists, actors and musicians. There's even a school for rappers. 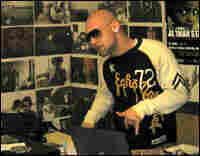 Rapper Prodige Namor has been running workshops since 1998. He says rap is all about identity. "You have lots of people from... Algeria, Tunisia, Morocco, the Comoro Islands, and everybody wants to show who he is and where he comes from. It is a way... to show who they are, what they want to prove." One of Namor's best students is Amir Kegeri, a 17-year-old of Algerian origin. Kegeri, who goes by the stage name of Ace, hopes to record an album after he finishes school. He says that his rap singing is "more than just a message, it is a state of mind, it is a culture, it is a life."